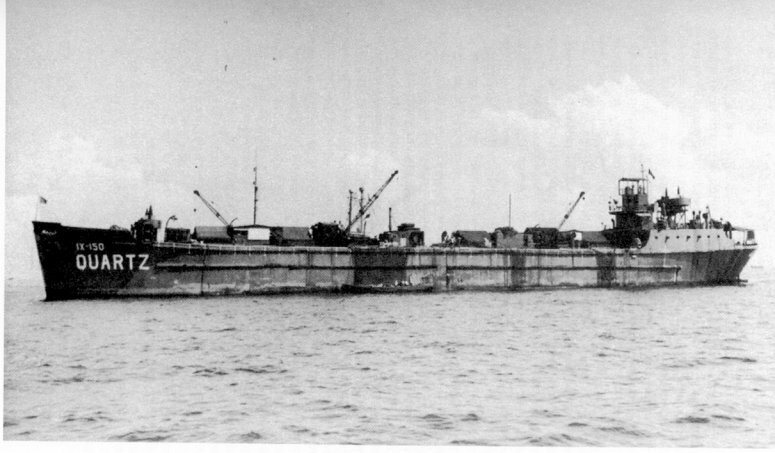 Built under Maritime Commission contract (MC hull 1330), at Barrett, Hilp & Belair Shipyard, San Francisco, CA. 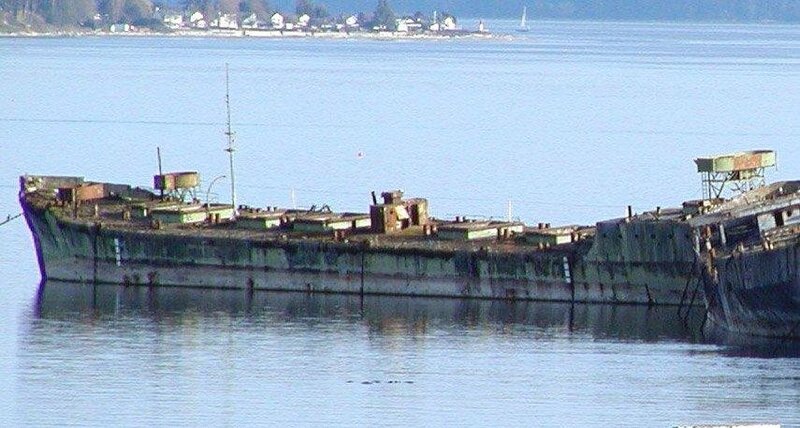 Placed out of service, 31 December 1946, at Bremerton, WA. 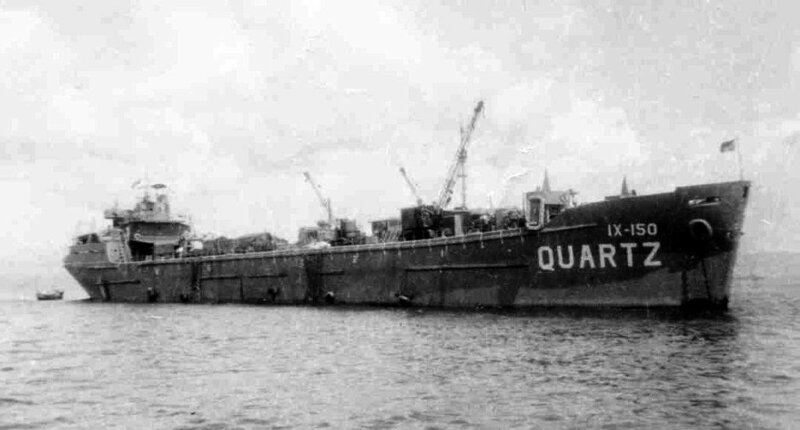 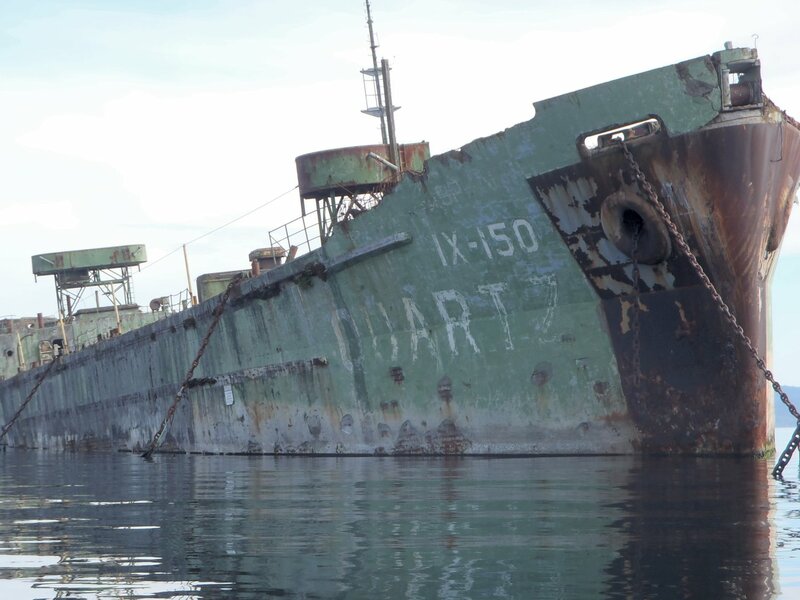 62k Quartz (IX-150) at anchor near Leyte 1944-45. 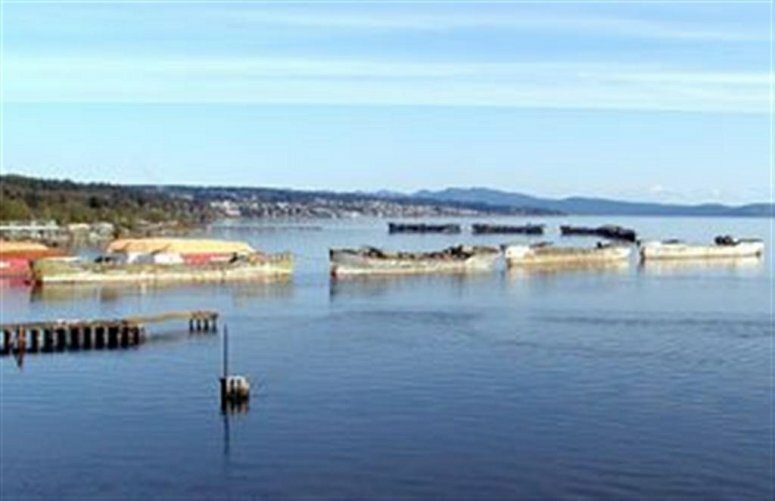 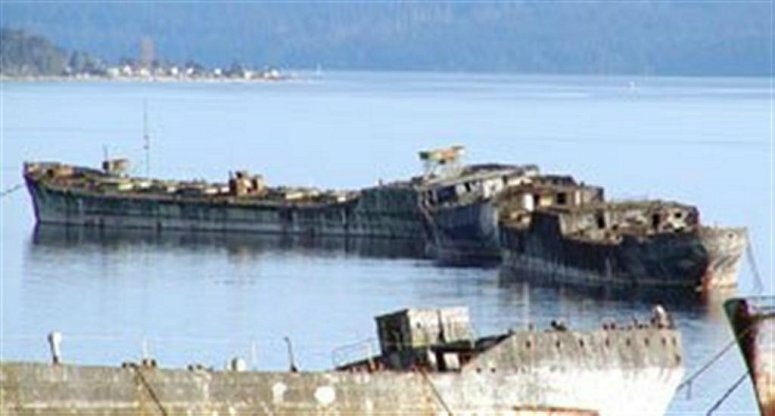 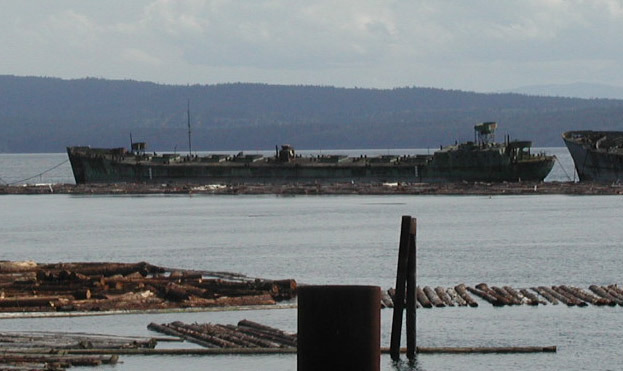 57k Ex-Quartz (IX-150) at anchor as a breakwater for a log pond at a paper mill at Powell River, British Columbia, Canada, date unknown. 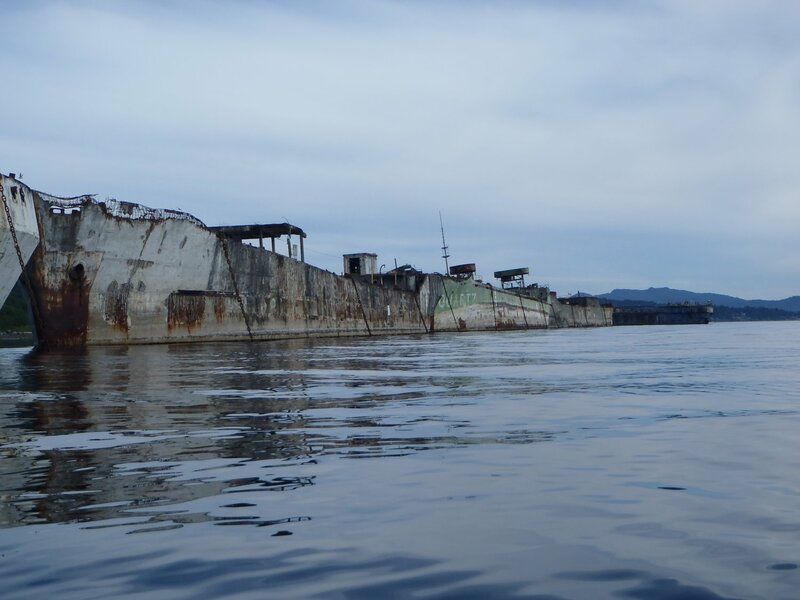 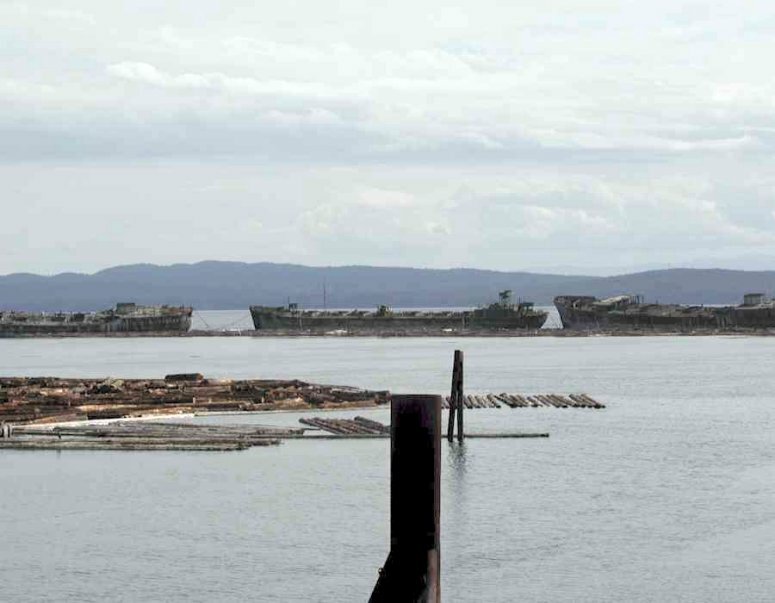 63k Ex-Quartz (IX-150) at anchor in August 2014 as part of a breakwater for a log pond at a paper mill at Powell River, British Columbia.